In the last decade, dealer asking prices for pink diamonds have gone up almost 150%, blue diamond prices have gone up almost 200% and yellow diamond prices at auction have grown over 70%. 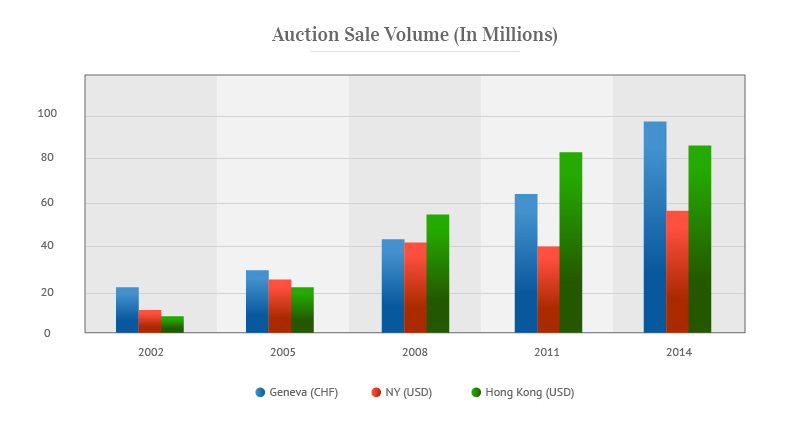 As you can see in the charts below, the upward trend in prices at the auction and dealer level shows a strong upward trend during times of geopolitical uncertainty, global recession and volatility in financial markets around the world. The main reason for this upward movement in prices centers around the increase in demand for colored diamonds at the auction, retail and dealer level at a time when diamond production continues to be under pressure globally. From the introduction of colored diamonds into new markets in India, Russia and China combined with growing sales at the auction level and the growth of colored diamonds used in jewelry in the Western economies of the world, the niche market for rare colored diamonds is poised to enter the mainstream jewelry market over the next decade, a $70 billion dollar market that continues to grow by at least 5% a year. 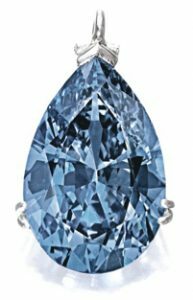 Global buyers have picked up on this trend and have started adding rare diamonds to their holdings as a means of protecting their wealth against recession, currency devaluation and owning and enjoying rare and unique collectibles that have stood the test of time for centuries. For centuries, wealthy royal families and merchant classes have kept a percentage of their wealth in diamonds. They are attracted to their beauty, rarity and value over the long-term and of course are regarded as the ultimate status symbol while still preserving ones anonymity and privacy as they are also very understated.